How to Make A Windowsill Herb Garden. Many of the herbs that I grow may be thought of as Mediterranean, or European herbs, but in fact, they have been used in this country for centuries, as many were brought by the Romans. 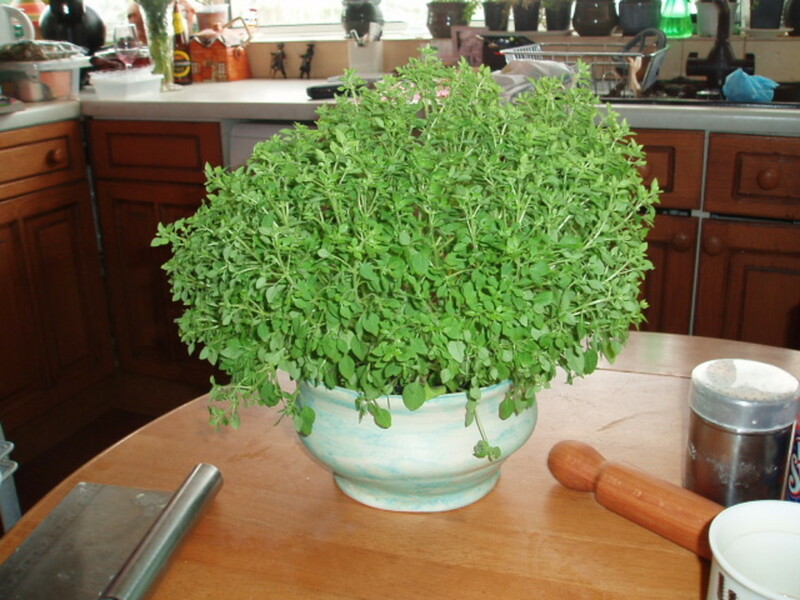 In many of my recipe hubs, I mentioned using fresh herbs rather than dried from a bottle. Dried herbs are fine, but to get the real essence you can't beat using fresh herbs. Don't think that you need a big garden, or special growing facilities. 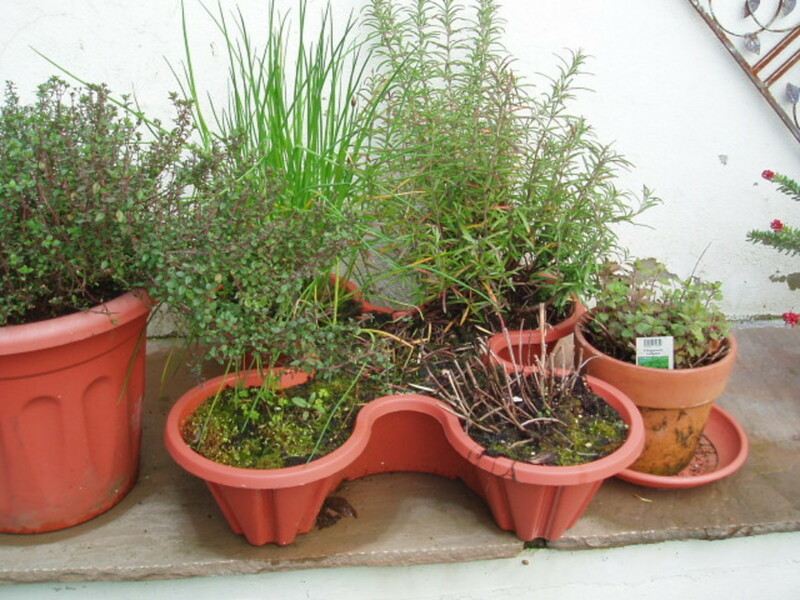 Most of my herbs are on the windowsill in my kitchen or in pots outside the back door. Most herbs are pretty easy to grow from seed and so your herb plants are quite cheap to produce. I often buy herb plants from the garden-centre, but mostly I grow from seed. I also have a number of seeds in pots that I germinate to use as young sprouts rather than fully grown plants. In Chinese and some other Asian cooking, they use bean sprouts quite often in a meal. If I could only have three herbs then I would choose; mint, parsley, and Basil. 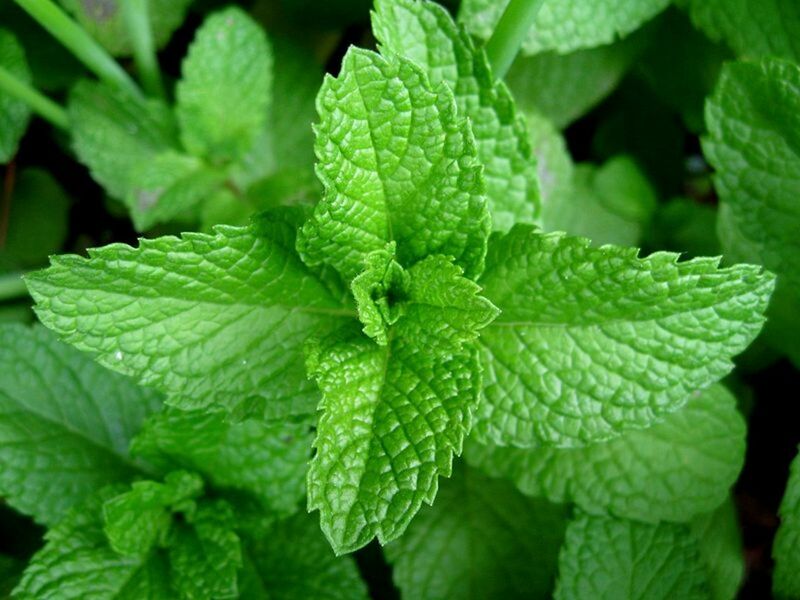 Mint, would always be my first choice, simply because it goes with the food that I like most; and I think is probably the most versatile of all the herbs. Simple dishes, like mint sauce, can make such a difference to any meal whether it's served with juicy lamb cutlets or poured over new potatoes. These aromatic, green leaves are found all over the world, from Australia to North America. 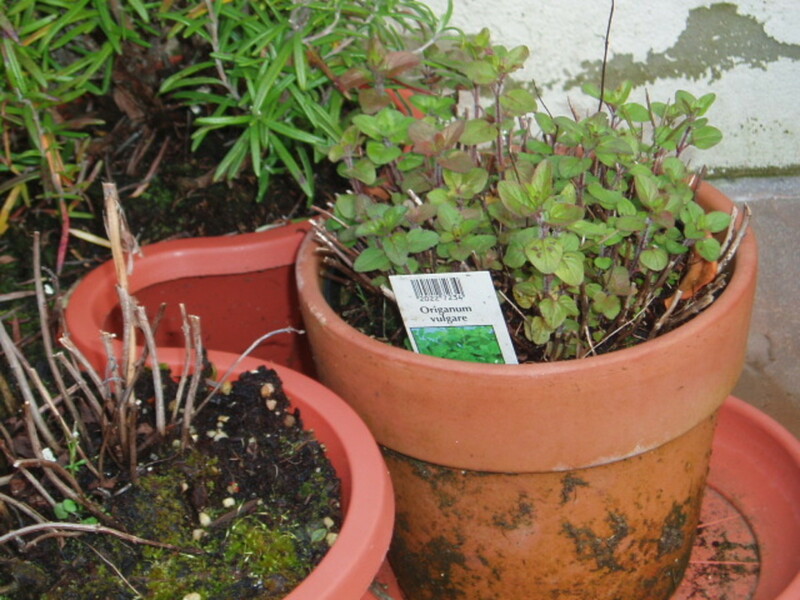 They belong to a family of plants called Mentha and there are probably up to 20 different species. 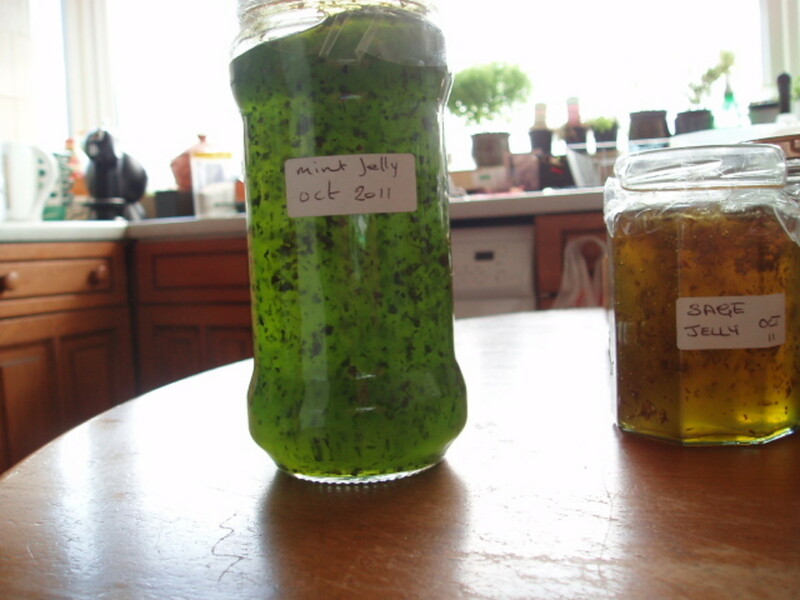 How to make a simple mint sauce. Add a cup of water to a saucepan and bring it to the boil. Add a teaspoon of Demerara sugar, two tablespoons of malt vinegar. Stir in the vinegar and melt the sugar in the water. 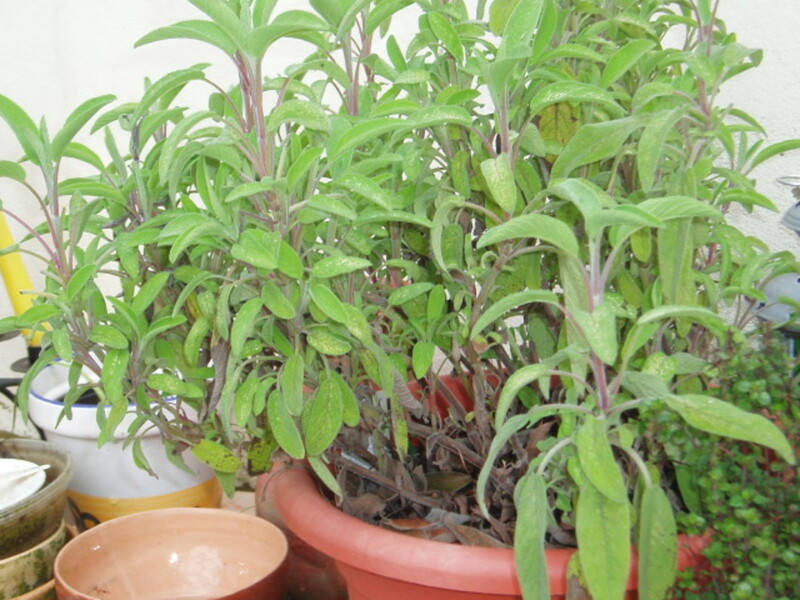 By finely chopping your mint leaves, you will get the most flavour from them, so, chop leaves and put them into a basin. When the sugar has melted, pour the boiling water over the leaves. This simple sauce is perfect with a Sunday roast. This is a delicious traditional Indian accompaniment for many meals. It can be served as a dip, it can be poured on rice, it can be eaten alongside a hot curry to cool the mouth, or it can be poured directly into the curry to temperate it. dice a handful of mint leaves, or 500 mL of yoghurt into a dish and add the cucumber and mint to it. You can add a sprinkle of black pepper, or paprika as a variation. You can finish this and make this sauce even more appealing by just adding small sprig of mint to the top of the dish. Dice a good handful of fresh mint, and place it in a dish, juice two lemons, add them to the mint. To give it extra punch grate the zest from the lemons and add that to your dish. Add the juice from two limes. Add a glass of water, sugar to taste, about 500 mL of fizzy lemonade put the whole thing in a blender with six or eight ice cubes, leave it in the fridge until you are ready to drink it. 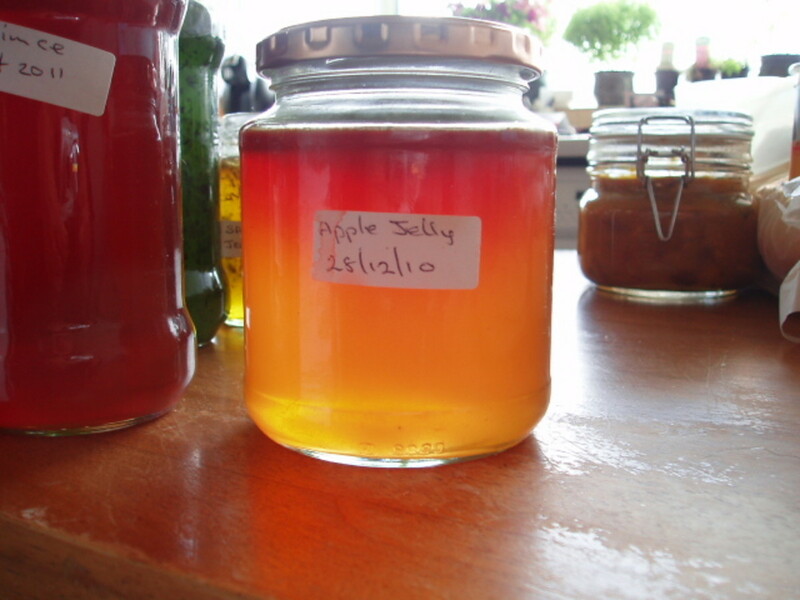 We usually make this in the late autumn, I have three very productive apple trees which we normally harvest in late October, from September we have a number of windfall apples which we gather up either to make cider or to make Apple Jelly. The apples in September 10 to be quite tart which is perfect for this recipe as tart apples possess more pectin which will turn the mix into a firm Jelly. Ingredients The method of making this will be very familiar to anyone who makes their own jam and you will need very much the same utensils. Roughly chop the mint, core and chop the apples and place them in a large saucepan. Add the water, and vinegar; boil the water and then reduce the heat until the apples are soft. Pour into your blender and give them a good whizzing, you can do this in several quantities if you have made too much for your blender. Strain off the excess water, and boil for a further 10 min. Add the sugar making sure that you still to prevent the sugar burning on the bottom of the pan. Bring it to a boil staring continuously a bubbly scum will start to farm which needs to be removed. Good cooking thermometer is useful, because you now need to raise the temperature above boiling point by about 10° and boil until the mix starts to thicken. The old wives way of deciding when the mix is cooked enough, is to place saucer in the fridge for about 20 min. With a long handled spoon, take some of the mix and place to drop on to the saucer, if after only a few seconds you can push the mix and it folds, then you are probably safe to take the mix of the heat. You need some sterilised jam jars, I like to use jars with plastic rather than metal lids. Fill the jars and cap them once they have cooled. 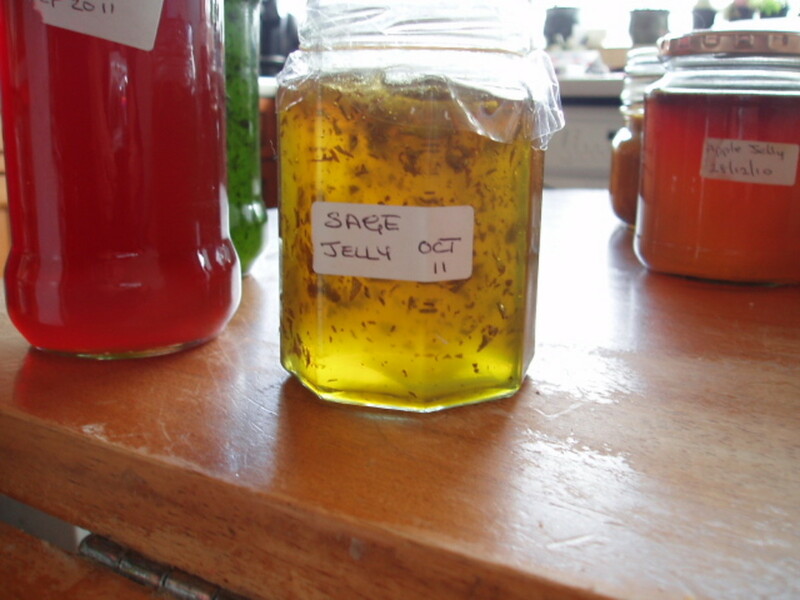 This Jelly goes excellent with, roast lamb, roast pork, and even with cheese and biscuits. parsley would be my second choice, simply because it goes so well with fish meals, you can use it with beef or pork too, but it is one of the best flavours that can be added to fish whether it be shellfish or white fish fillets. Parsley or garden parsley as it is well-known as is a species native to the Mediterranean region, Italy, Algeria and Tunisia. 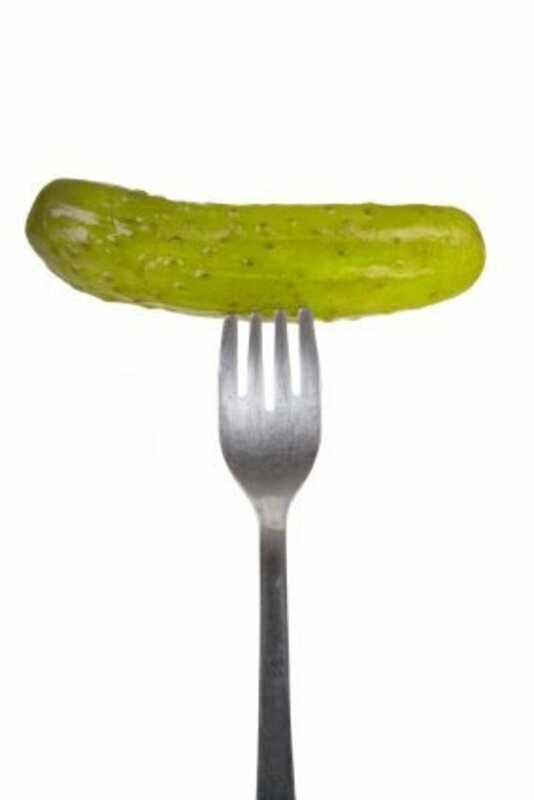 It is widely cultivated as both a herb and a vegetable. In the summer I tend to grow it outside, because it doesn't make a very good windowsill plant. 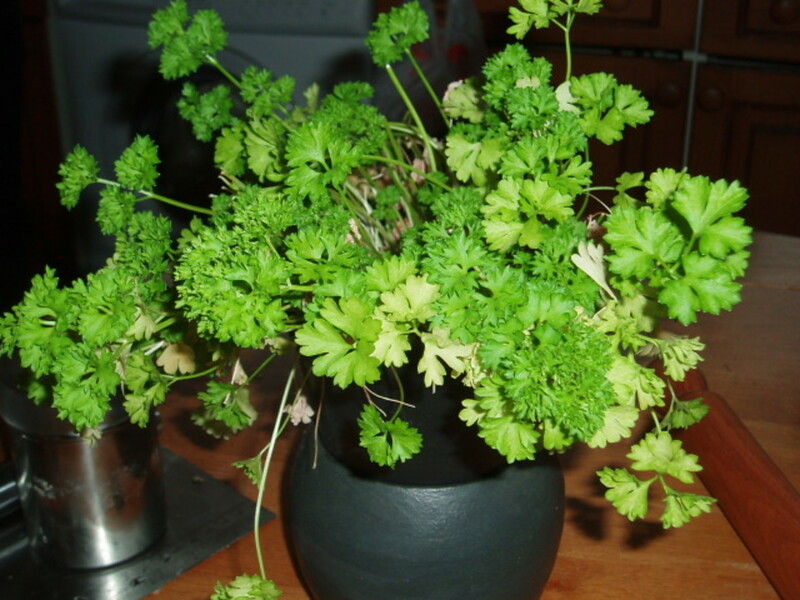 My window faces south and has sunshine the whole day which is very nice at times, but it means that plants on the windowsill dry very quickly, and parsley like this to be kept moist. More readily available these days his flat leafed parsley which some people say has a stronger flavour than the curly variety, there is also a third variety grown mostly in southern Italy which has a thick celery like stem. There is also root parsley but I must admit that I have never seen it. Parsley has been long used in vegetable gardens because it attracts insects which can be a nuisance to other plants. I personally have used it to try and prevent my tomato plants from being attacked. It is a herb that I remember my mother used in many dishes, we had a greengrocer's shop which also sold fish and game, so the end of the week it was always fish on the menu, and a company in that fish would be my mother’s Parsley in white sauce. This was just a simple white sauce, sometimes she would vary it and great a little cheddar cheese, but there was always the Parsley in there. Mum’s parsley and white cheese sauce. 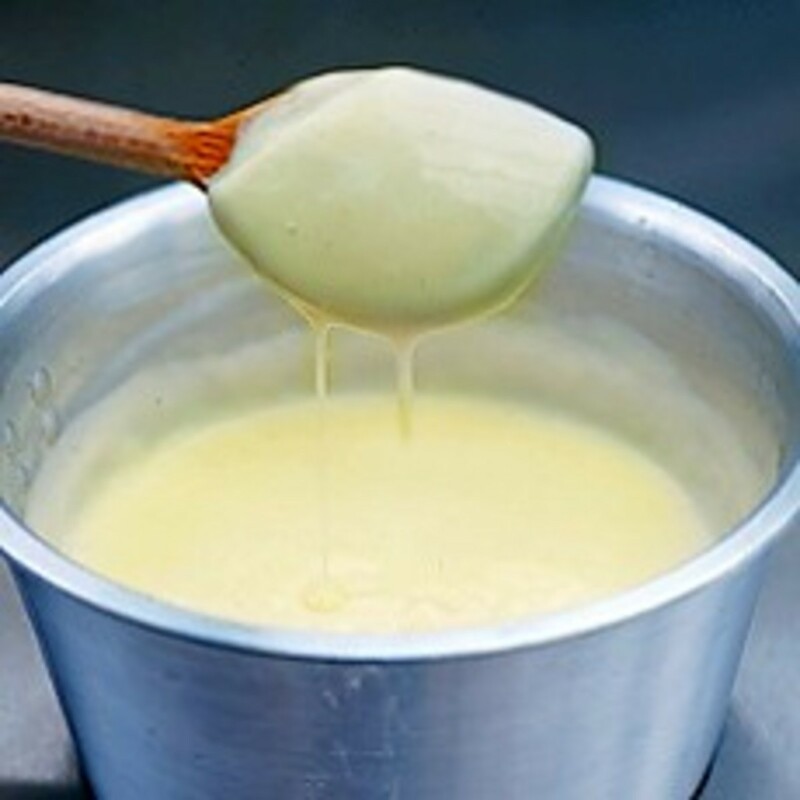 In a saucepan make a roux by melting butter and then adding cornflour and mixing it into a thick paste; pour in three quarters of a pint of milk and stir. You need to chop up a good handful of Parsley before you make your roux and then mix it into the pan. You can also grate some cheese and add it if you wish. Keep stirring, and be careful; it tends to spit and bubble like a volcano. You can pour this over your fish, potatoes, or add prawns. My mum used to use this as party food, in pastry cases. My third choice would be Basil, often described as the king of herbs. There are a number of different accounts and explanations for this its name derives from the Greek basileus, which means King. The flavour of this is at the heart of Italian cooking so I think even without other herbs this herb imparts the flavours of the Mediterranean and yet the herb originated in India. 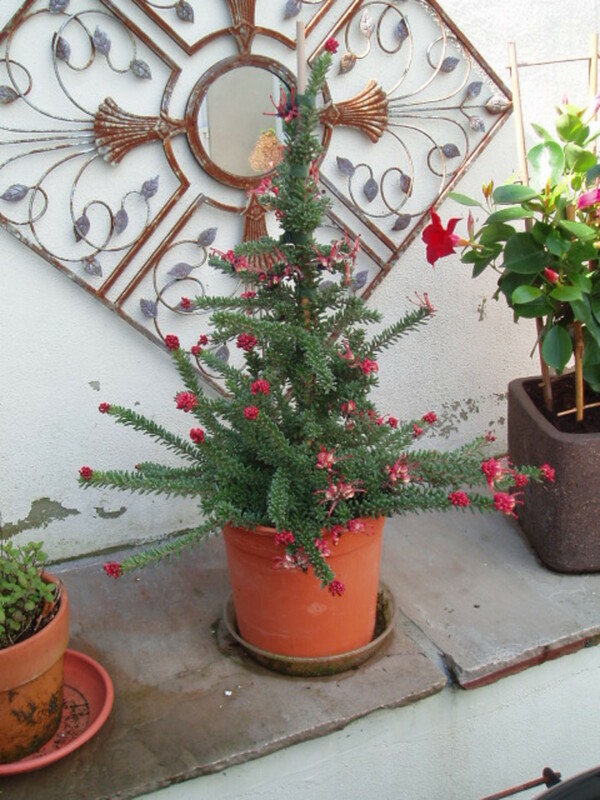 I found that it grows very successfully on my windowsill, but when it is very sunny, I have to put it on the kitchen table out of the way. Basil Sweet Basil as it is often referred to is also known as St Josephs Wort. The plant is surrounded by folklore, myth, and legend. For instance in the Greek Orthodox Church it is used to prepare holy water, and in some areas of India it is placed in the mouth of a dying person to ensure their safe journey to heaven. Apparently it can be made into an insect repellent and is highly toxic to mosquitoes. 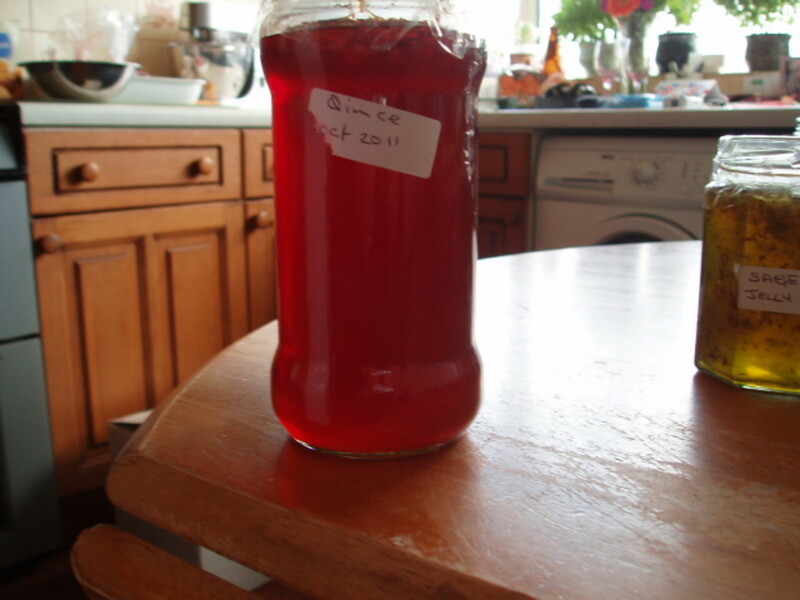 None of this is the reason why it is on my kitchen windowsill, I have it there because it tastes great in so many different dishes and meals. Once you combine it with other herbs you can then make the most wonderful scented and fragrant meals. Recently I have been growing and using Greek Basil which has a much smaller leaf. I personally think that it tastes very much like the Basil I've used for years. As well as herbs, I also have a number of seeds that I am sprouting. 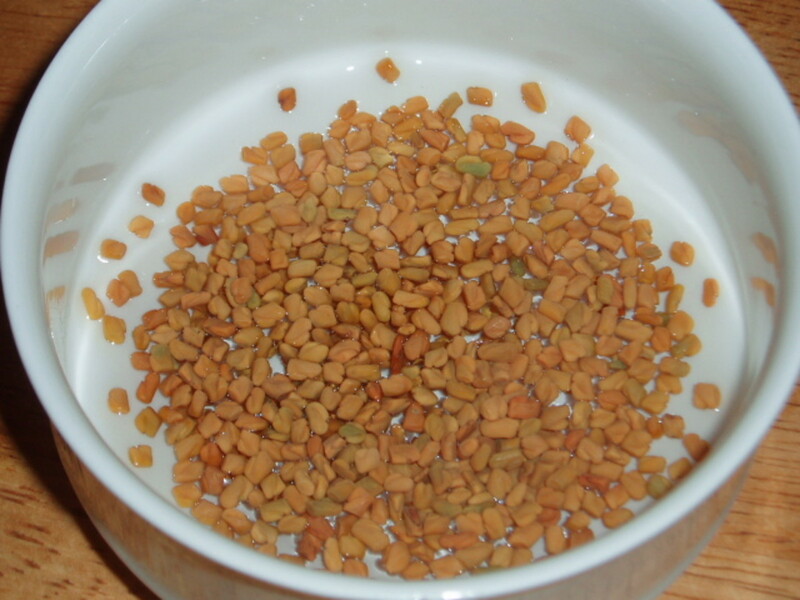 Sprouted seeds include mung beans, fennel seeds, mustered, cress, and fenugreek seeds. All these come in useful in my cooking activities, and are very easy to grow. Simply put a few seeds in a ramekin dish small bowl, add water and leave a few days. As the newly sprouting seed splits to allow out the plant, it is at its best. By using combinations of the herbs I can create lots of different flavours, and with the addition of course sea salt and sometimes lavender the possibilities seem almost endless. Italian blend; this mixture I obviously use when making an Italian dish. Oregano, Basil, Sage, thyme, and course sea salt. Italian herb rub, I use this next mixture to rub into meat prior to cooking, almost using it as a marinade. Tomato Powder, Dried Garlic, Red Pepper Flakes, Paprika, Thyme, Fennel Seed, Balsamic Vinegar Powder (just use a drop of vinegar if you don’t have the dried stuff. ), Salt, Basil, Sage, Sugar, Oregano, Rosemary, Bay Leaf, Black Pepper, Marjoram. The exact proportions of this mix I can't tell you, but I have listed them in the order of amount I use, you can vary it to your own taste and sometimes just what's in the cupboard. My next combination is based on herbs de Provence, marjoram, oregano, thyme, rosemary, Basil, tarragon, lavender, sea salt, and just a pinch of black pepper. This is an ideal mix forced to stews, and broth. It goes well with beef and lamb. I sometimes use this as a rub or a marinade. Here is a list of the herbs that I currently have on my windowsill and outside beside the house back door. 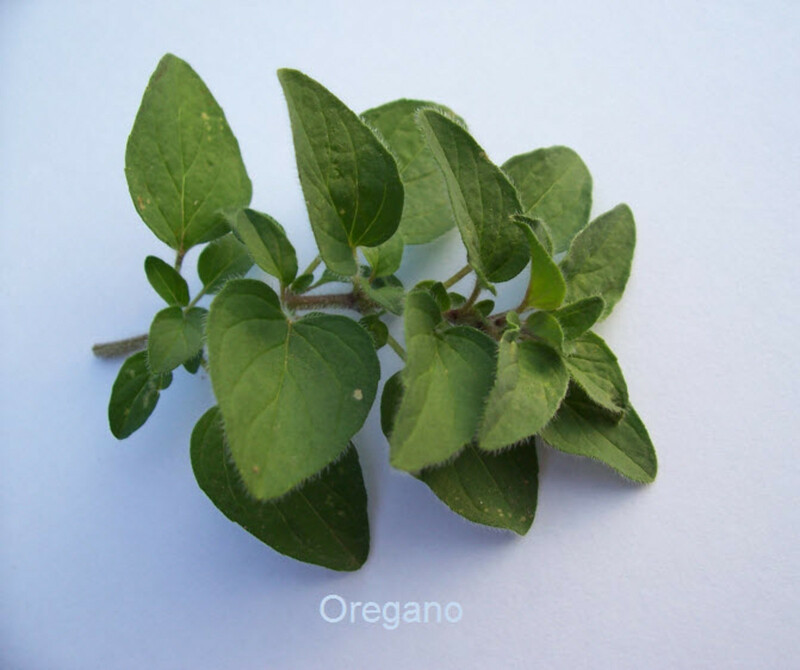 Marjoram gold(origanum vulgare aureum) in Greek and Roman times it was known as a symbol of happiness. Thyme Bressingham Pink. (Thymus Praecox) time is an interesting plant, with a fascinating history it was used by the ancient Egyptians for embalming, the ancient Greeks bathed in it and burnt it as incense in their temples, the Romans are accredited spreading its popularity and use across Europe. At one time it was placed beneath pillows to help sleep and keep away nightmares. It was also given to knights and Warriors as it was believed to bring courage. 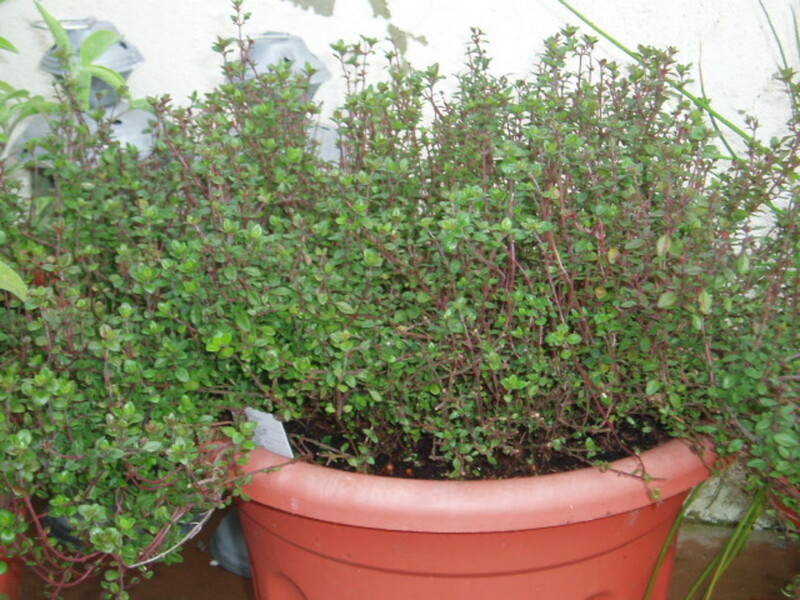 It has had many medicinal uses, for instance in the West Indies Thyme tea is given to a mum after childbirth. The oil that can also be extracted from the plant is often used for medicinal purposes. Thyme Doone Valley. I think I grow this thyme, because Lorna Doone is probably my favourite book. It is a typical thyme, banks the flavour suitable for any meat dish. 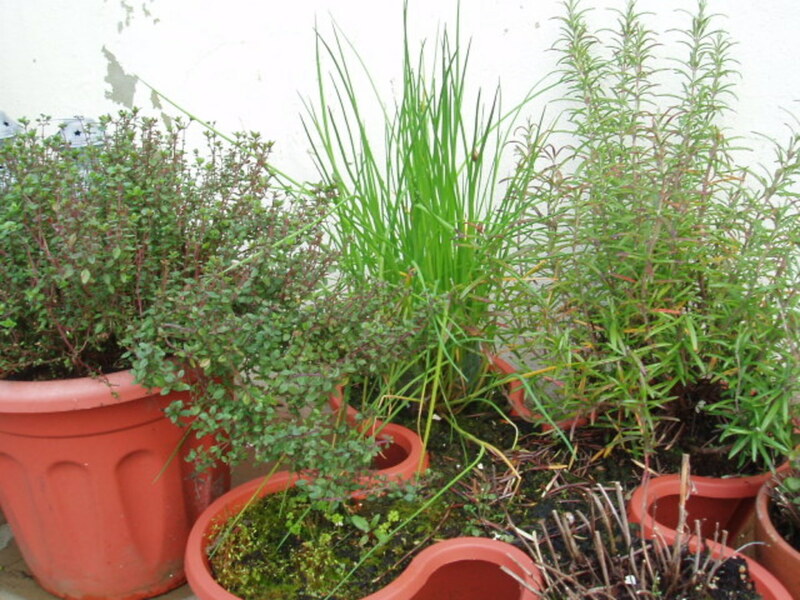 Outside in small pots I also grow; Rosemary, Sage, chives, oregano, and some more thyme. 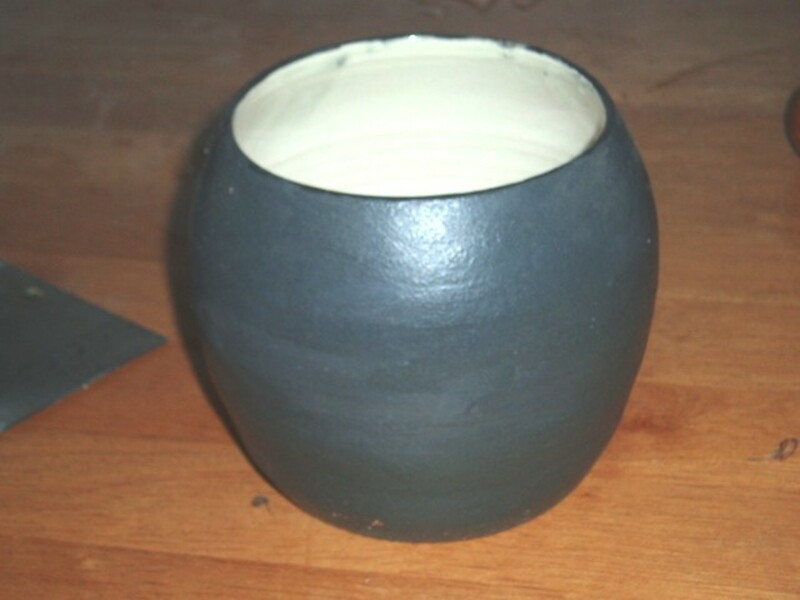 Before I retired, I owned and worked in my own pottery and art gallery. 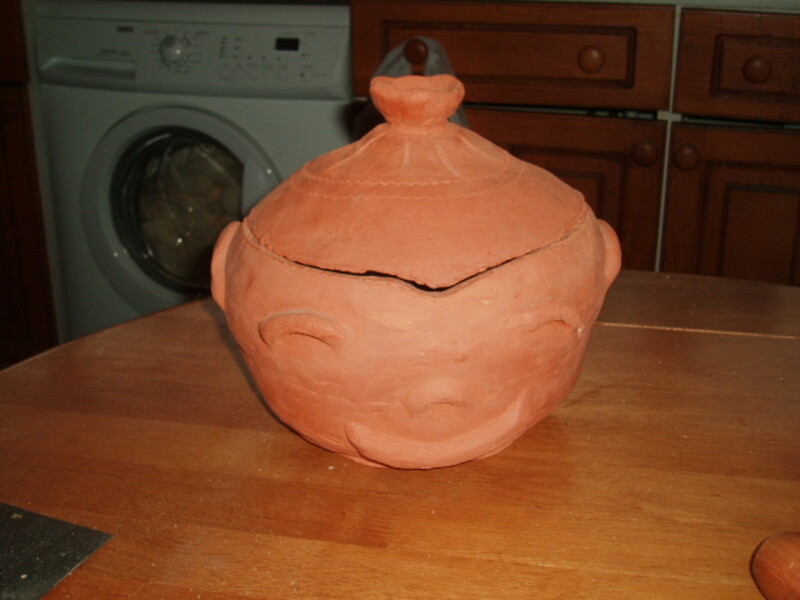 Quite a few of the pots I sold, but I have boxes of really nice pots in the shed that never see the light of day. The story of converting my garden to be wheelchair friendly. lots of planting ideas. Chicken Rissotto, Italian comfort food. a simple rissoto recipe. low in fat sugar and cholestral. ciabatta, a delicious rustic bread full of flavour and full of goodness. thank you for your appreciation, as always you comments are of high value and help the development of my hubs. Apart from looking nice, they are very useful just on the windowsill. The only drawback is the sun hits that window most of the day and one needs to keep an eye on them or they are dried out. I love the smell of the herbs as well as the taste. When I've been cooking curries you may be able to imagine how the kitchen smells with the rich oriental spices mixed in. Thank you for the ups and all. Tony, What an aromatic, fragrant, spicy description of the herbs in your life! In particular, I like how you introduce the big three of basil, mint and parsley, with fascinating insights into each of their characteristics and uses as well as pretty pictures which show how they're not only useful but attractive to have around. The idea of a windowsill garden of herbs is as appealing as one of African violets or of cacti. 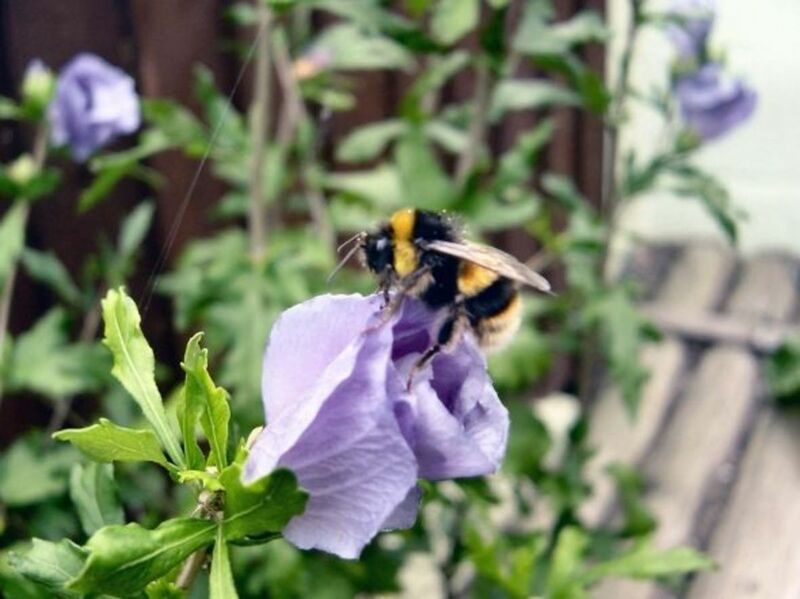 Additionally, they interject such aromatic, fragrant smells into the atmosphere. 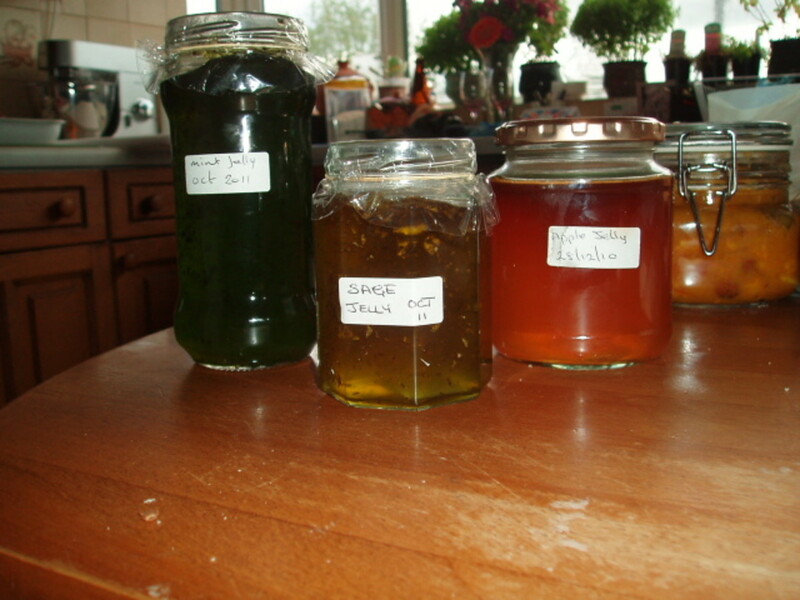 Your recipes for the mint sauce, mint and lime drink, and mint and apple jelly are much appreciated. It's particularly generous how you break the dishes down into identifiable steps, with useful hints and cultural/familial information along the way. Your mother's white and cheese look and write up scrumptiously. Me too, one of my favorite herbs is basil, and I like the celery-like stem of southern Italy's parsley. Tale of two cities is a great story, typical DIckens; larger than life characters, and great insight of people and their concerns and lives. I'm a Dickens fan. Have you read Dombie and son? I've just put it away again, more great characters, Captain Cuttle is my favourite. Three new herbs today to my collection. Mint Banana, Mentha Arvensis, new to me tastes okay. Beja, which is actually a pepper. I can't resist when I go to Garden centres. Tony, Lorna Doone has been on my re-read list for a while. I'll move it to the top, after my re-read of A Tale of Two Cities, which is happening this week. Lately I haven't had the garden that once I had or that I'd like to have. I haven't made up my mind about this summer's garden. I might try windowsilling instead. thank you for your visit and comment. If you have the space I'm sure you will taste the difference. Very informative! 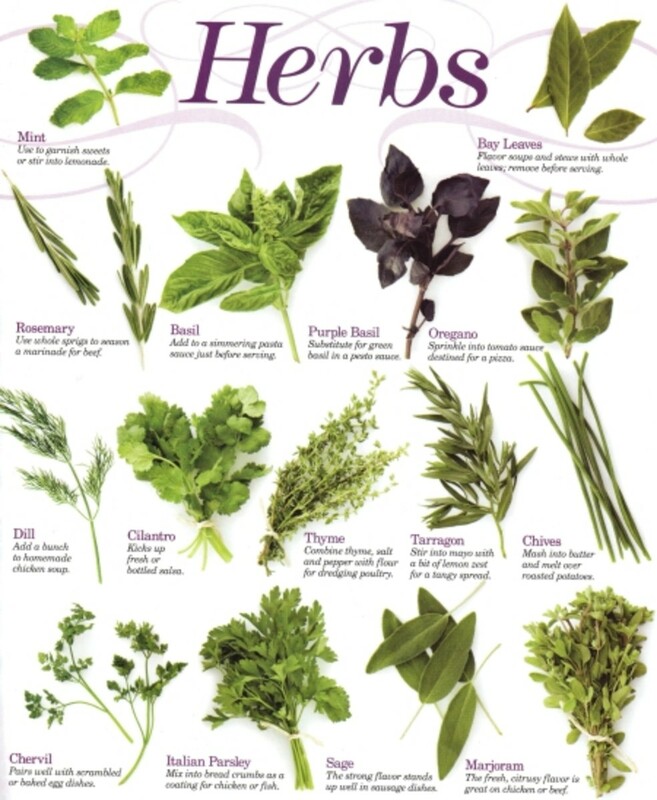 I love to cook and am using dried herbs. I love this idea..I would definitely try it..Good hub. many thanks for visiting and for your votes and comments. Do you not have a garden now? Congratulations on [ 99 ] you deserve it for the quality of your works. You set a demanding level to try and emulate. I saw the Doone valley tag at a local garden centre and I had to have it. I think that above all others Lorna Doone is the book I wished I had been able to write. Great story, set in a period of English history that I enjoy and find fascinating, it has drama, romance [Romeo and Juliet} action, good guys, bad guys. I've had a holiday in Linton and Linmouth which are at the end of the real Doone Valley where the book is set; fabulous scenery. Tony, You've shown how easy it is to set up and maintain a windowsill garden. Your recipes, with helpful accompanying photos, have the special look of fresh herbs. Your growing choices are excellent. I used to have a huge garden, and I loved my fresh herbs, basil, dill, sage, tarragon, etc. 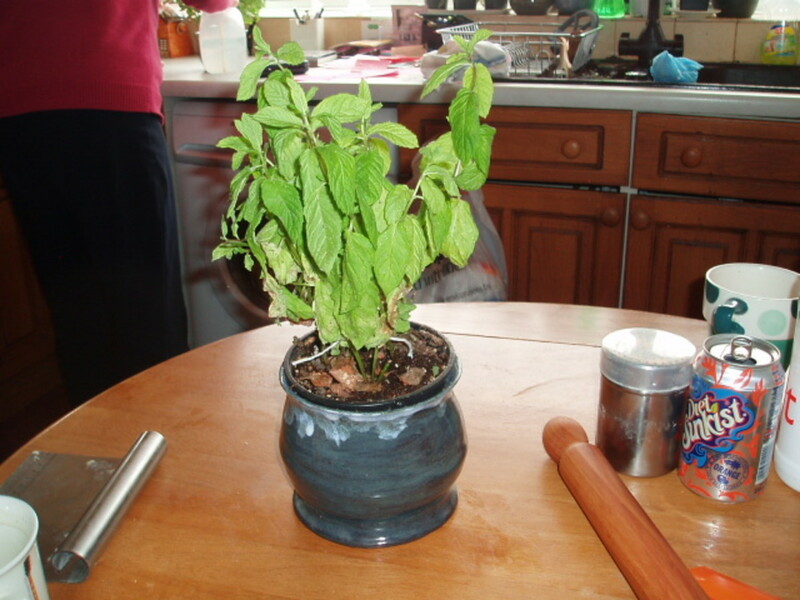 Basil was such a cooperative plant, sprouting nicely and looking such a healthy green. I'm especially intrigued by Thyme Doone Valley and that Lorna Doone is your favourite book. 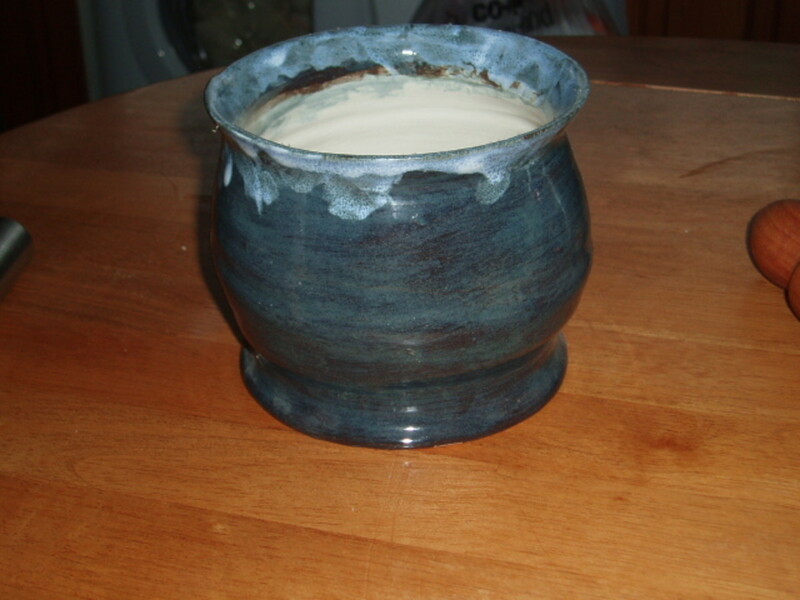 Your pottery is photogenic. The coil on the underside of the lid is clever. 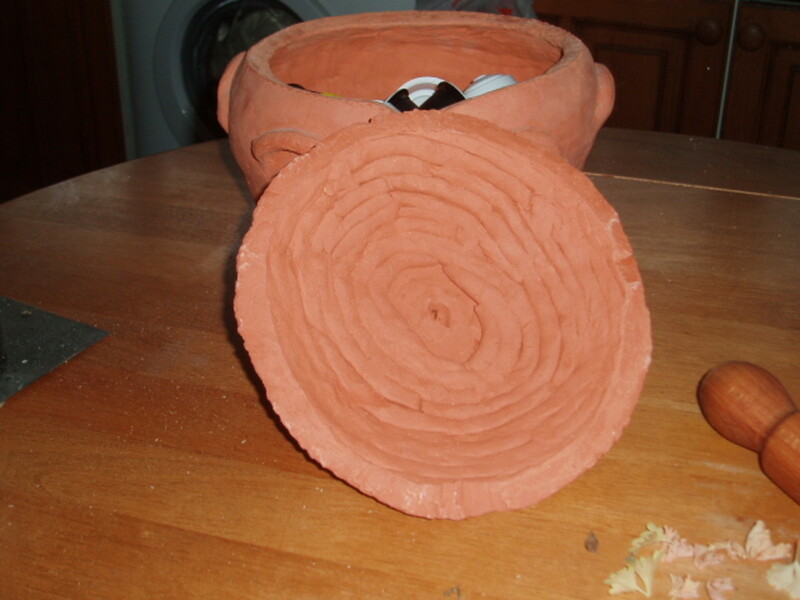 That begets another hub, one on your pottery, doesn't it? This hub is greatly appreciated; thanks for beaming it to the front of your writing queue. All the votes + sharing. thank you for you for your comment, I shall get my Italian friend Fabio over and we'll come up with a pesto idea for you. many thanks for votes and visit, I hope it was useful for you. Thank-you for a very useful hub. If you have a recipe for pesto, I would read your hub in a minute. Voted up and shared! Thanks for this!